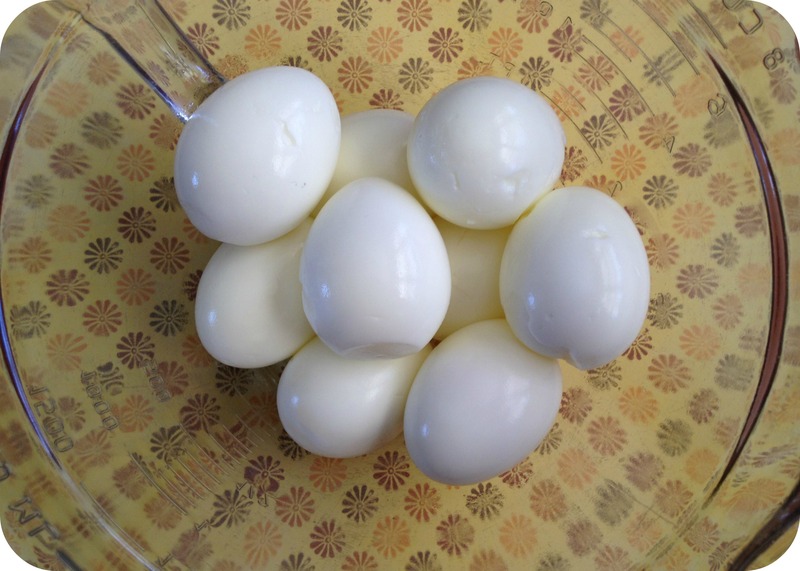 Egg Salad – Secret Ingredient? I like mayonnaise. I am not proud to say it, but I like the taste of mayonnaise. However, in my journey to eat whole, gmo-free foods, I have found that I am unable to consume it with a clean conscience. Here are the ingredients in Hellman’s Mayonnaise: Soybean oil, whole eggs, vinegar, water, egg yolks, salt, sugar, lemon juice, natural flavors, calcium disodium EDTA (used to protect quality.) Now, prior to learning so much about oils and soy, I would have thought that these ingredients don’t seem so bad. However, now armed with the knowledge of the health affects of soybeans, I avoid products with soybean and soybean oil like the plague. (http://articles.mercola.com/sites/articles/archive/2010/09/18/soy-can-damage-your-health.aspx) So, I set out to create an egg salad free of mayonnaise, which at first I didn’t think possible, until a light bulb went off (and a quick google search.) I found that some recipes for egg salad replaced mayonnaise with greek yogurt. I decided to create my own egg salad that would please me and my boys without missing the mayo. Here is what I created and I got approvals from my husband and boys and they didn’t even realize I hadn’t used mayonnaise until I told them after they were about halfway done with their sandwiches. This entry was posted in Food and tagged easy dinner, egg, egg salad, greek yogurt, soybean oil. Bookmark the permalink. 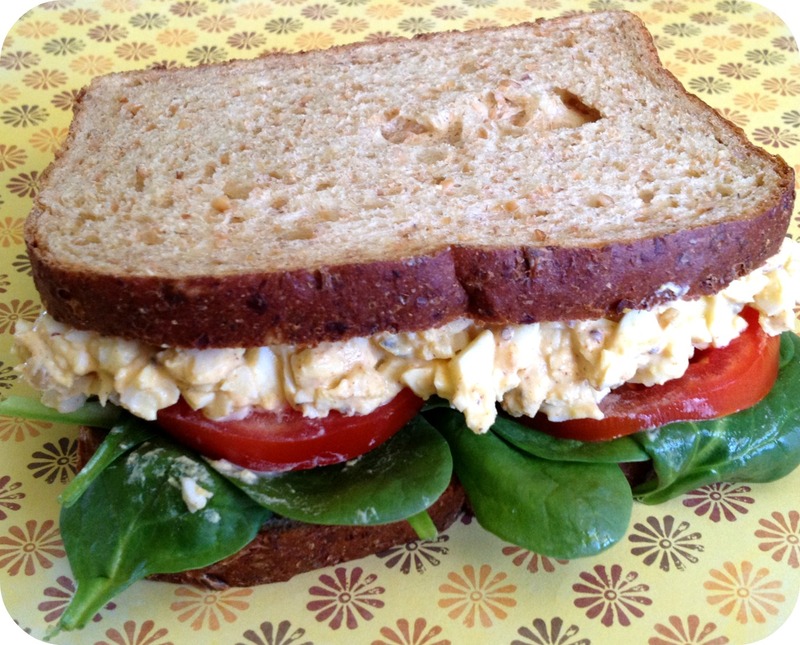 7 Responses to Egg Salad – Secret Ingredient? Nice! I definitely needed a substitute for mayo. I’ll have to try this! Looks yummy. Definitely would go with the yogurt myself since I don’t really care for mayo too much. But if you really are craving mayo, I think you can make your own with eggs and olive oil in a blender. I did try once and it didn’t take. Apparently it is a bit tricky so I don’t know what I did wrong, but other people say that they have done it. Glad you like the idea. I LOVE greek yogurt and love finding new ways to use it! Thanks! Cant wait to try it! I use Greek yogurt as a substitute for A LOT of things (sour cream, in baking, etc)…but never thought to try this. Sounds good!! Thanks! I live Greek yogurt!